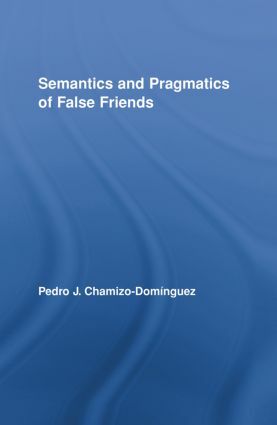 This book approaches the topic of false friends from a theoretical perspective, arguing that false friends carry out a positive role as a cognitive device, mainly in literature and jokes, and suggesting some pragmatic strategies in order to restore the original sense of a text/utterance when a given translator (or a foreign speaker) falls victim to false friends. This theoretical account is successively verified by appealing to texts from the fields of literature, science, philosophy, journalism, and everyday speech. Pedro J. Chamizo Domínguez lectures in Philosophy of Language at The University of Malaga (Spain). He has published five books and several papers in Spanish, Slovakian, English, and French.